Factor B - Support from Armin Van Buuren, Bryan Kearney, Aly & Fila, Giuseppe Ottaviani, John O'Callaghan, Neptune Project, Solarstone, Sneijder, Adam Ellis, Binary Finary, Ferry Tayle, Robert Nickson and more..
Over the past 12 months Australia’s own Factor B AKA Brendan Blatt has undoubtedly established himself as one of the fastest rising talents in the world of uplifting trance. 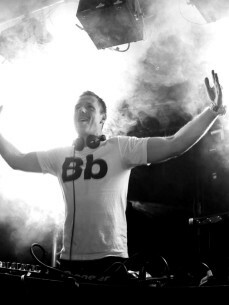 With continual support and praise from the biggest names in the business alongside a growing discography on labels such as Pure Trance, Future Sound of Egypt, Subculture, Amsterdam Trance & Blue Soho it’s no surprise that Brendan’s popularity is soaring not only in Australia but internationally as well. Brendan’s music began gaining attention from mid-2014 when his tune ‘Stratos Galaxias’ was picked up by UK trance duo ‘Neptune Project’ and used to open their FSOE Gig in Colombia. Neptune Project loved the track so much, they released the track on their own label ‘Mythology Records’ in 2015 – gaining support from the likes of John O’Callaghan, Sneijder, Solarstone, Ferry Tayle just to name a few, but none more than Bryan Kearney – who hammered it in his major sets throughout the world, including his ASOT 650 stadium tour in Australia. 2015 saw Brendan sign his first tune with UK trance legend Solarstone on the famed Pure Trance label. His tune ‘Sacrosanct’ was a massive hit – with support from just about every major uplifting trance artist in the world it was no surprise when it reached #2 on the Beatport trance charts. Brendan then swiftly backed this up with his next single being signed by Egyptian duo Aly & Fila on arguably the world’s biggest trance label ‘Future Sound of Egypt’.. and it didn’t disappoint. Aly & Fila kept “Factor B - We Rise Again” to themselves for over 3 months – before unleashing it exclusively on their infamous ‘Essential Mix’ on BBC’s Radio One with Pete Tong. Since then Brendan's released a new single release on Pure Trance (Sapera) - a remix for Giuseppe Ottaviani (North Pole) all of which have featured on the play lists of the biggest artists in the world. Not to mention his recent remix of the classic 'Synaesthesia' by the Thrillseekers - which has been hammered worldwide by Armin, Thrillseekers, Aly & Fila just to name a few - so much so it's been picked up for release on Armada. Brendan’s music is clearly stirring up the international trance scene; his unique, euphoric uplifting style is re invigorating the trance purist’s across the world in big numbers. 2016/17 sees a number of exciting new originals across Pure Trance & FSOE that are all sure to be chart toppers once again.